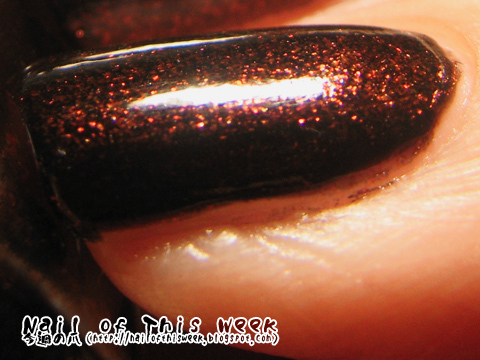 #073: Shimmery glass-fleck dark maroon : Nail of This Week. Anyway, Flormar! Part of this great Turkish brand was already available in some cosmetic shop though they aren’t carrying all of their beauties. But now, they opened their shop with FULL range of their stuff, including their masterpiece The Supershine Miracle Colors nail polish! So today’s shade is one of such a masterpiece, U32, nice rich dark maroon packed with tons of sparkling glass fleck. 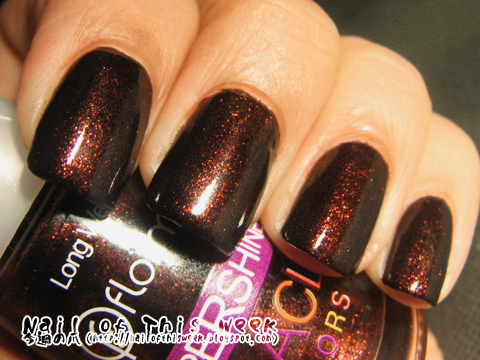 The polish you are showing really reminds me a lot of chocolate. Yum.